Verb. 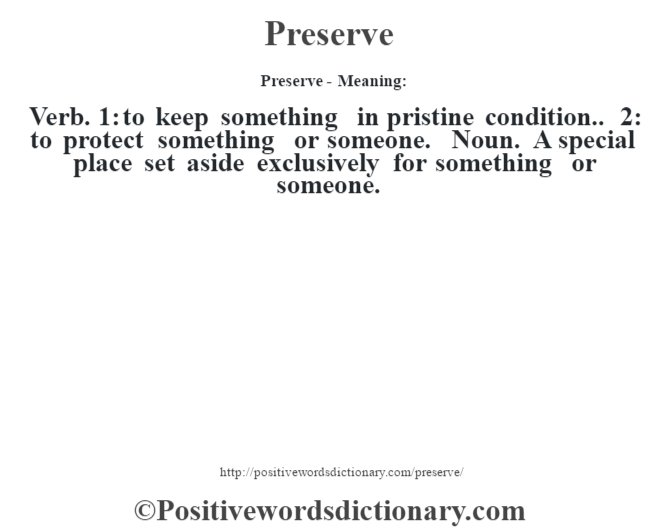 1: to keep something in pristine condition.. 2: to protect something or someone. Noun. A special place set aside exclusively for something or someone.